For over 35 years Jim Warren has been painting his way into the hearts and minds of people the world over. 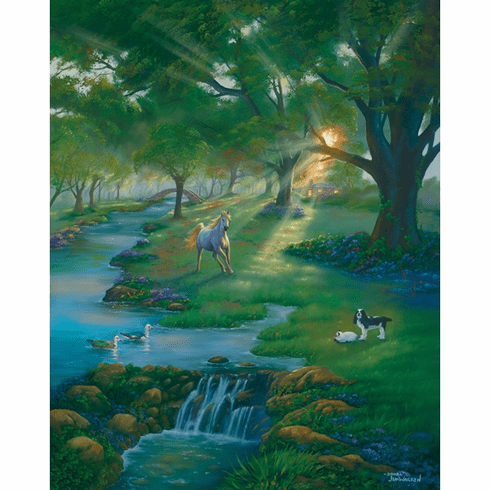 Jim Warren possesses a versatile style emphasizing themes of harmony and coexistence between man and nature. 1000 piece puzzle. Ages 12+. 19 1/4" x 26 5/8"